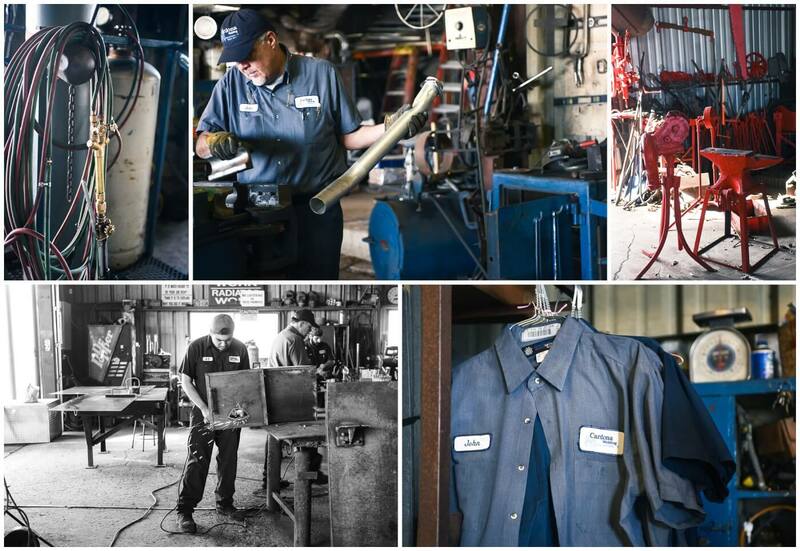 Cardona Welding is almost 100 years old and has been in business for 4 generations. I was honored to meet the most senior Cardona who has retired and passed the baton to his son. The oldest Cardona still comes around to offer his sage wisdom and to work on their 100th anniversary celebration. He is painting all of his vintage tools a neon orange to commemorate the big day. Check out more below. My Great Grandfather Guadalupe Cardona moved from Mexico to the United States and brought his trade of blacksmithing. He settled in San Antonio, not too far away from the cities edge, where the stock yards were. He settled there knowing wagons would be traveling by with their livestock and if they needed repairs he could be there to offer his services. Through the years times and technology changed and so did we. 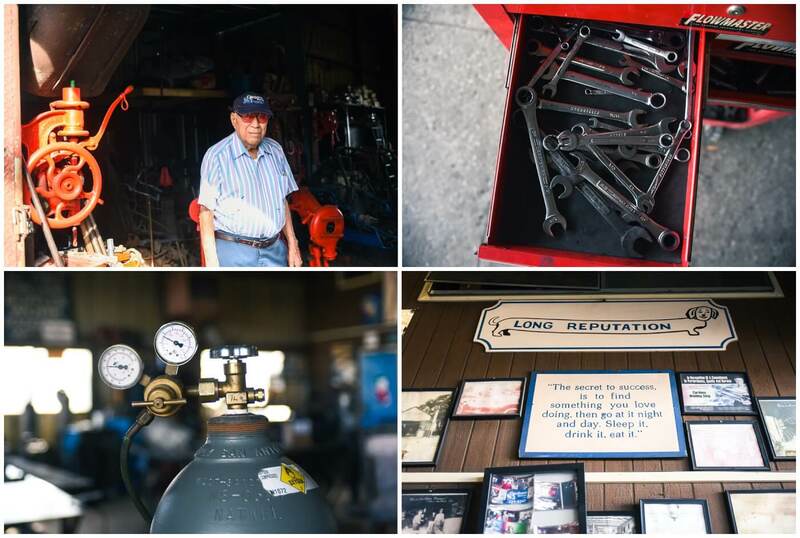 Wagons became cars and trucks, so we became more of a welding shop and exhaust center. 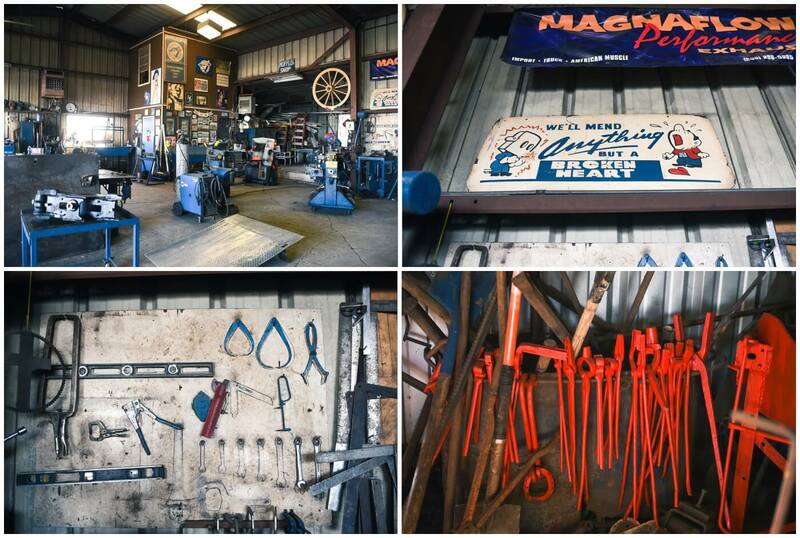 We moved three times to accommodate the transition from a blacksmith shop to a welding repair shop. Well the first move was done for the city as they needed to expand the creek next to us to help control flooding. In 1963 my Grand Father Martin Cardona moved to 1813 South Brazos. As the business continued to grow in the hand of my uncle Richard Cardona and then my father Johnny Cardona. My father moved to where we currently are located at 1823 S Brazos St. We now had transitioned into a full exhaust and welding repair shop and had the room to work on many type of jobs. Through the years the stockyards and the produce market along with the meat packing companies have been a great base for customers. It was from those businesses the word spread to the employees they passed it on to their family members. Our customers have been our best investment. they provide the advertisement that was priceless. Do you have any interesting anecdotes about your business you would like to share? Think back on some of your peaks and valleys — what were major challenges or victories? Who have been some of your quirkiest customers or colleagues? We have done all type of projects and repairs. Every job we do from welding artificial limb parts and eye glasses to fabricating fire safety equipment for the oil field. We do it all with pride and every detail is important to us. To this day we get customers from the surrounding small towns, some traveling over 100 miles because they know we are going to do it right. There is no job too small. 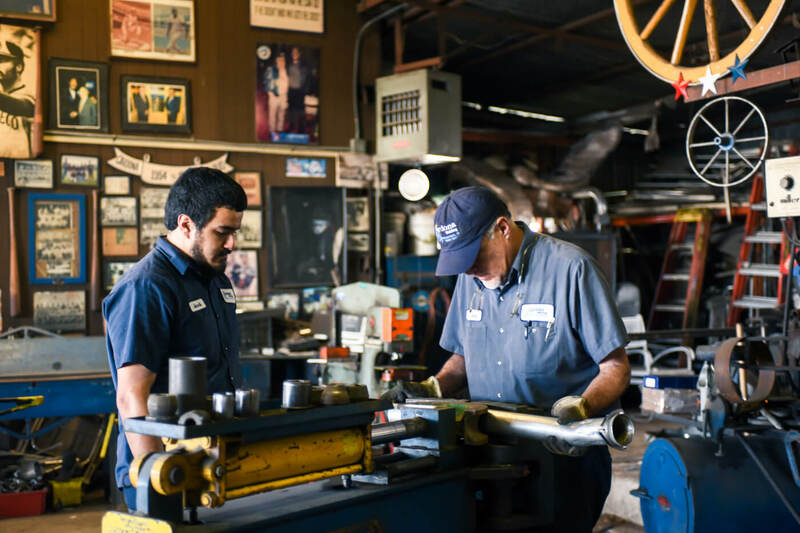 We are here to help with any welding type of repair. I enjoy telling customers that while the wheels were different in the times of my great grandfather we still can repair those and the aluminum wheels of today’s wagons. We truly believe that we can mend anything but a broken heart. I think our business is unique because we are a job shop in which the employee must know all aspects of the job. In most welding businesses they have different people doing a different part of the project. Here we each take on a project and do every aspect of it to completion making my employees very knowledgeable in every part of the job. I’m currently working on training my son Jacob and my nephew JP as much as I can. So that in 3 years when we reach our 100 years of doing business in San Antonio I can retire and let them take their turn in running the family business making them the fifth generation to do so. We have done work and repairs for many businesses in San Antonio from the river walk to the theme parks across the city. We will always take pride in our work and satisfaction in knowing we helped. The favorite part of my job is making people smile in completing their project or repair. 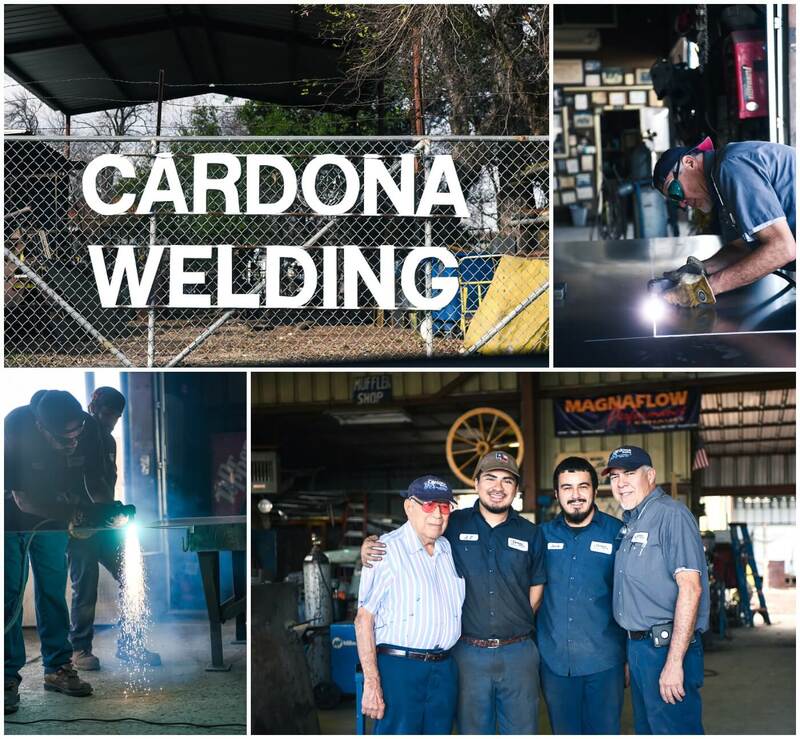 Knowing that they will pass on the name of Cardona Welding, the shop that did it right the first time. Thank you to Cardona Welding for letting us come and visit!